The U.S. Department of Energy Solar Decathlon Design Challenge (previously called Race to Zero) is an annual collegiate competition that challenges student teams to design high performance and energy efficient buildings. 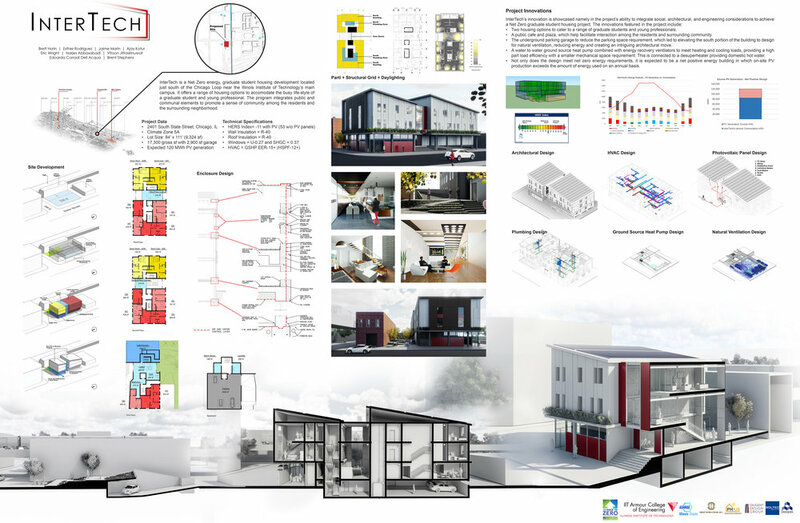 The goal is for an interdisciplinary team of students to design and provide full documentation for a home that meets the Department of Energy’s Zero Energy Ready Home Requirements. 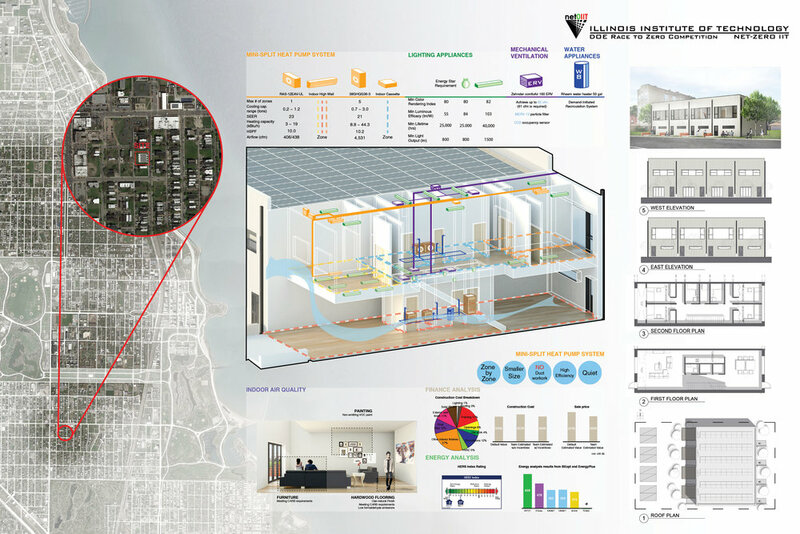 Teams are expected to effectively and affordably integrate principles of building science, construction engineering and management, economic analysis, and architectural design. For three years in a row an Illinois Tech team led by students and faculty from the Department of Civil, Architectural, and Environmental Engineering (CAEE) placed second in their competition category. The teams were advised by Edoarda Corradi Dell’Acqua and co-advised by Brent Stephens.